We’ve teamed up with Oldblue Co to reproduce USMC/USN Boondockers boots that have a lot of action during second world war. Boondockers boots has been one of the epitome of uniform of the US Marines in the world war. 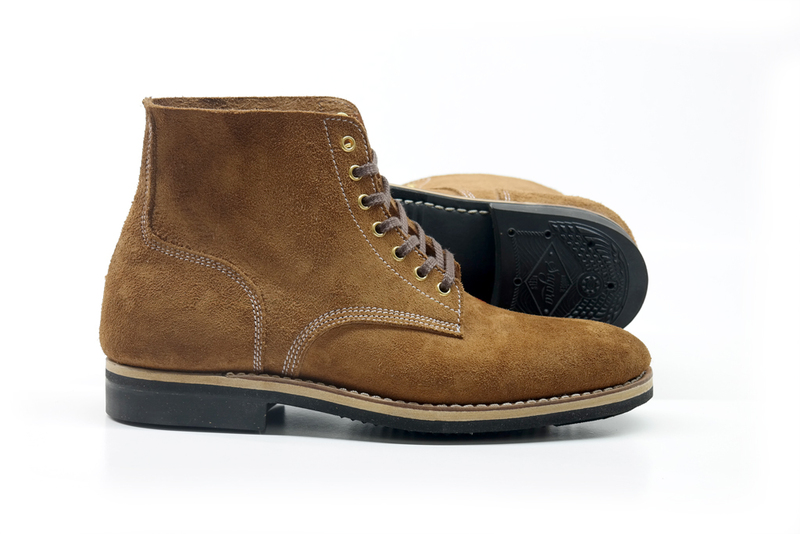 These boots boots represent classic combat boots but looks perfect when paired with denim of any casual trousers. 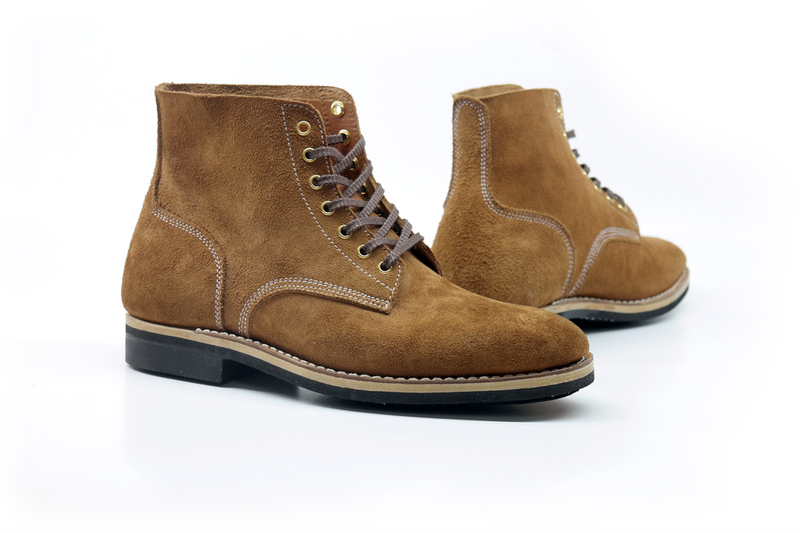 Besides of the history behind them, their lovely looks is the reason why we’re steamed-up to reproduce these world war boots. Once the US entered WWII, poor results from the early campaigns taken into consideration to develop a proper combat footwear. 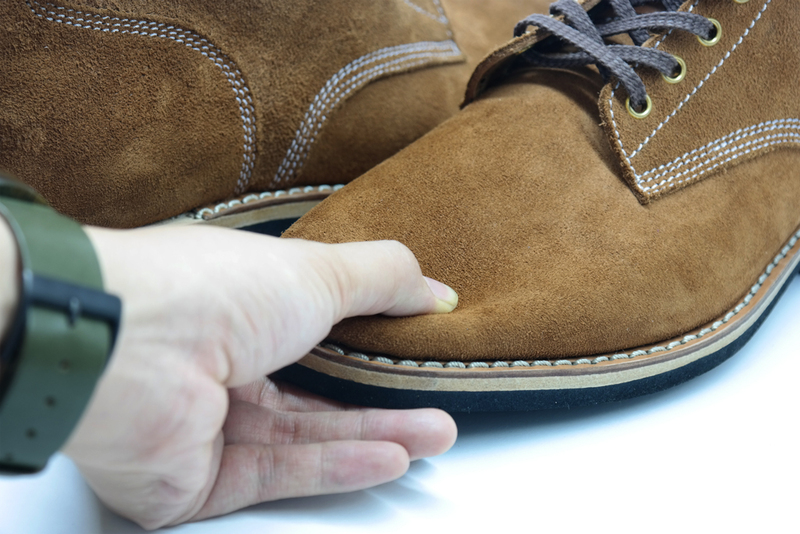 Conservation of materials played an important role in shoe development as a further effort due to the shortage of raw materials during world war. After WWI, during Army peacetime, leather still the primary material for soling. At the time, blucher pattern boot was use, using Army russet smooth side upper, fabric lining, cap toe, inside counter pocket, leather outsole and stacked leather heel, these boot is referred as Garrison boot. By early 1941 procurement of the Army’s light garrison boot and stacked heel service shoe ceased in favor of a heavier, unlined, universal service shoe that made use of a full rubber heel, named Type I. But at the end of 1941, the production of Type I boots was stopped, since they found that the leather outsole wore through in just two to three weeks. To improve the water resistant qualities, the new Type III is featured with rough out leather upper (flesh side out). 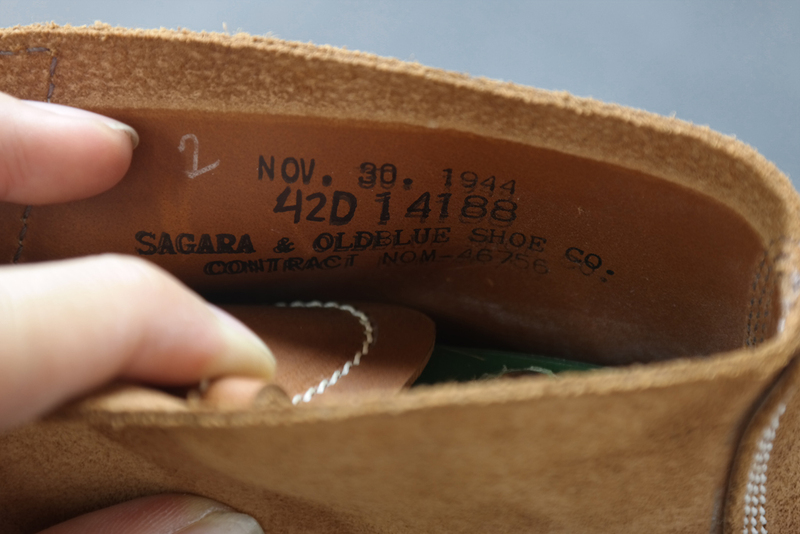 Riveted quarters and toe cap was added to the early developed Type III boot that were field tested in North Africa and Italy. But refinements still continues consisted of simplification design. Toe cap and quarter rivets was removed in summer 1944 to conserve raw materials, and un-structure toe (soft toe) was applied for added comfort. The story behind the name of Boondockers is began in Operation Musketeer in Philippine (October 20, 1944 – August 15, 1945). Enlisted personnel wearing the final design of Type III boot that no longer have toe cap and riveted quarters. The words Boondockers derived from the word “bundok” for mountain in the Philippine language, Tagalog. Most of marines applied a coat of dubbing compound to make they boots more water proof. Once the dubbing was applied, the boots lost their light color and suede texture, taking on a much darker, slick appearance, usually how the boots appear in the field in period photos.